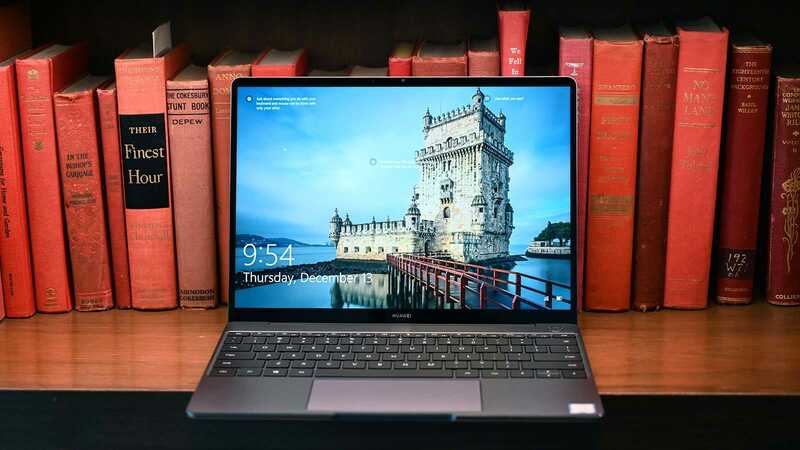 Huawei has only been in the laptop game for a few years now, but following up on the success of systems like the MateBook X Pro, Huawei is expanding its notebook portfolio with the new MateBook 13. Starting at $1,000 for an Intel Core i5-8265U CPU (UK pricing TBC), 8GB of RAM, 256GB PCIe SSD and 13-inch 2160 x 1440 touchscreen in mystic silver, the MateBook 13 is the company’s new mainstream laptop aimed squarely at taking down the new MacBook Air. Like the MateBook X Pro, the MateBook 13 features an all-aluminum body with styling clearly inspired by what Apple has been doing for years. 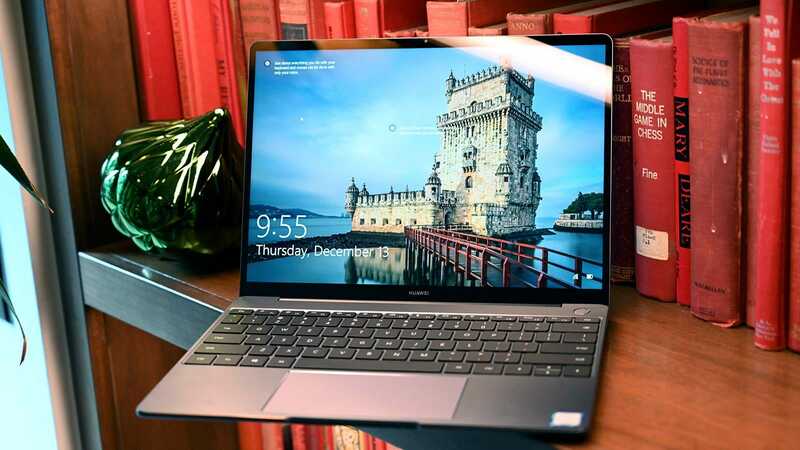 When I got to play with the MateBook 13 at a briefing for CES, a Huawei spokesperson even bragged that weighing in at 2.8 pounds and measuring 0.59-inches thick, the MateBook 13 is both thinner and lighter than the new MacBook Air. However, because the MateBook doesn’t sport the Air’s tapered wedge-shaped design, it doesn’t feel quite that slim. Instead, it feels like it’s a much closer match to the standard 13-inch MacBook Pro. That said, Huawei hasn’t gone full Apple clone, as the MateBook retains a traditional chiclet-style keyboard that’s more pleasant to type on than anything in Apple’s lineup, along with a handy power button that has built-in fingerprint reader so you can turn on the system and log into Windows with a single touch. Inside, Huawei claims it has boosted the MateBook 13's cooling with its new dual-fan Sharkfin 2.0 cooling system. 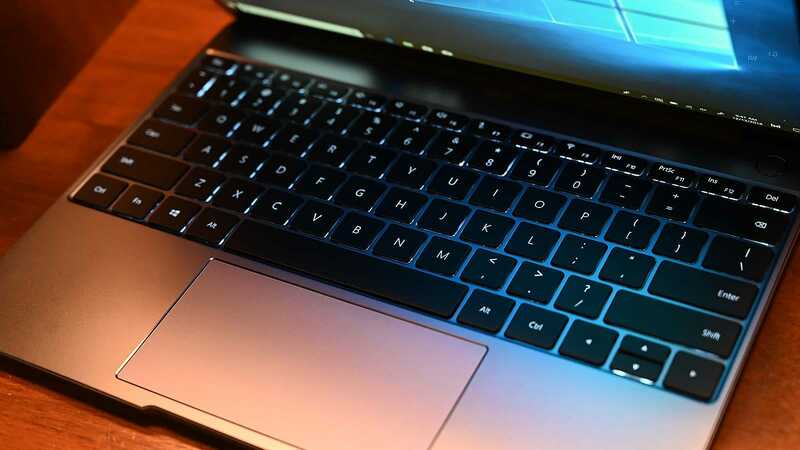 Huawei says its fans move 25 percent more air than the blowers on a typical laptop, which should be a big help for anyone who upgrades to the MateBook 13's optional, more expensive, config which features a Core i7-8565U CPU, 8GB of RAM, 512GB of SSD storage, and an Nvidia MX150 GPU with 2GB of VRAM. Some might question Huawei’s choice only to feature two USB-C ports on the MateBook 13, which is a bit odd considering that there was probably room for more and that MateBook X Pro comes with one USB-A and USB-C port each. So to make up for that, every MateBook 13 will come bundled with a MateBook Dock 2 for free (that normally costs around £50), which expands connectivity via a USB Type-A, HDMI, Ethernet, and VGA ports. All in all, the MateBook 13 looks like a solid and more affordable alternative to one of my favorite laptops of 2018, though I do have two smallish concerns. The first is that the MateBook 13's screen is only rated at about 300 nits, which is about average for a laptop in the £1,000 range. When you compare that to the superb brightness, dense 3000 x 2000 resolution, and vibrant colours you get on the MateBook X Pro’s screen, it’s a little disappointing. That screen was was easily one of its best features. While the MateBook 13's display looks fine, it’s not nearly as good. My second concern is that Huawei rates the MateBook 13's battery life at just 9.6 hours for the model with Nvidia graphics, or about 10 hours for the standard config. It’s possible that Huawei is just being conservative with its projections, but if those numbers hold true, that means the MateBook 13 might only end up with just mediocre or slightly above average longevity in the real world. That said, with a release date set for January 29th, we won’t have to wait too long to find out how the MateBook 13 performs for real. 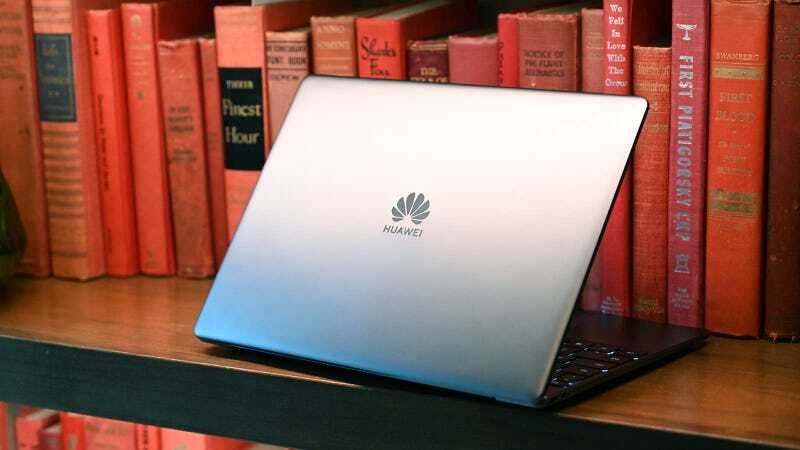 And as an alternative to the new MacBook Air, Huawei’s attempt at a mainstream 13-inch laptop with Windows is looking pretty good.